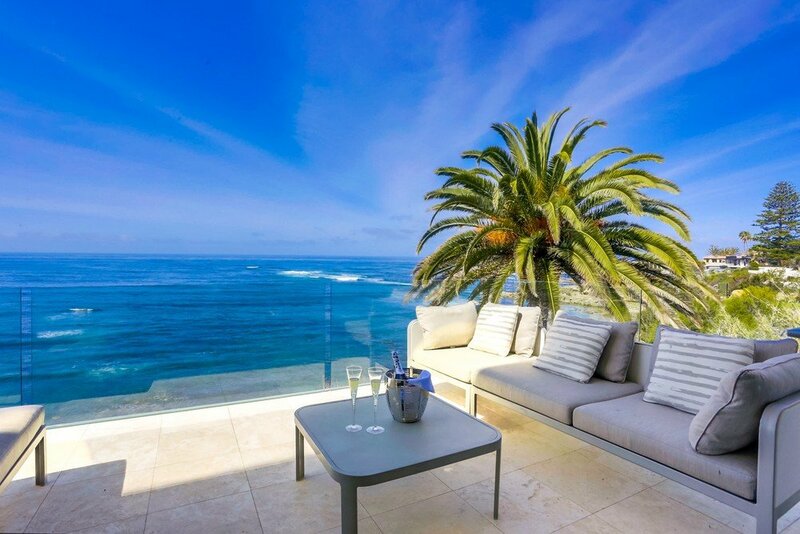 Perched above the Pacific Ocean along the ‘street of dreams’ Camino De La Costa in one of the most highly sought after neighborhoods of olde La Jolla known as Lower Hermosa, with some of the most magnificent views of the California Coastline.The ambiance, elegance and modern luxury of this world class home is certainly one of a kind. 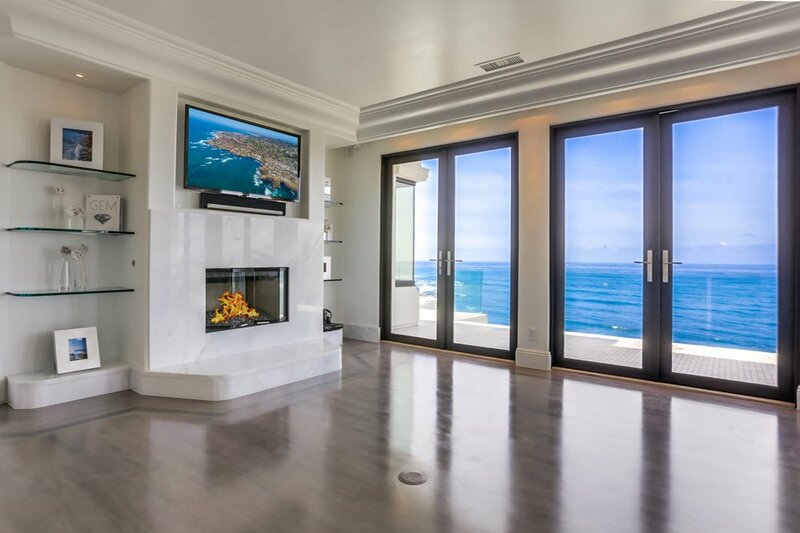 Nothing compares to this move-in-ready, recently updated automated smart home. 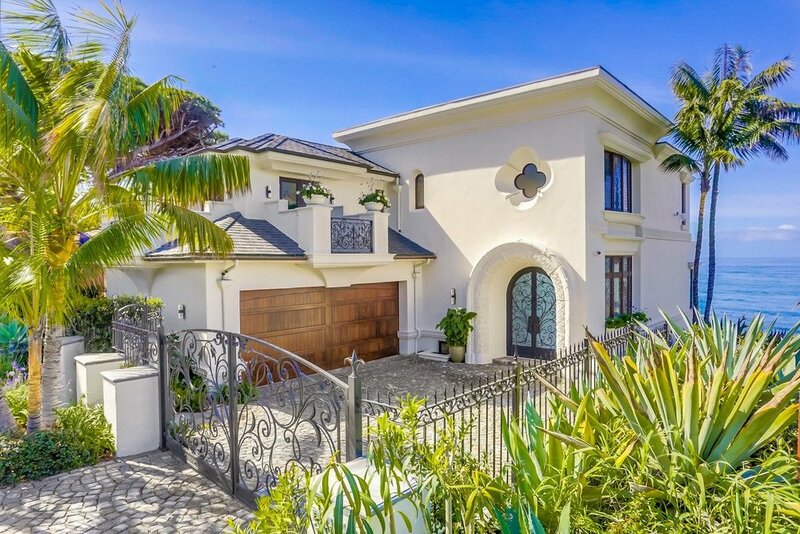 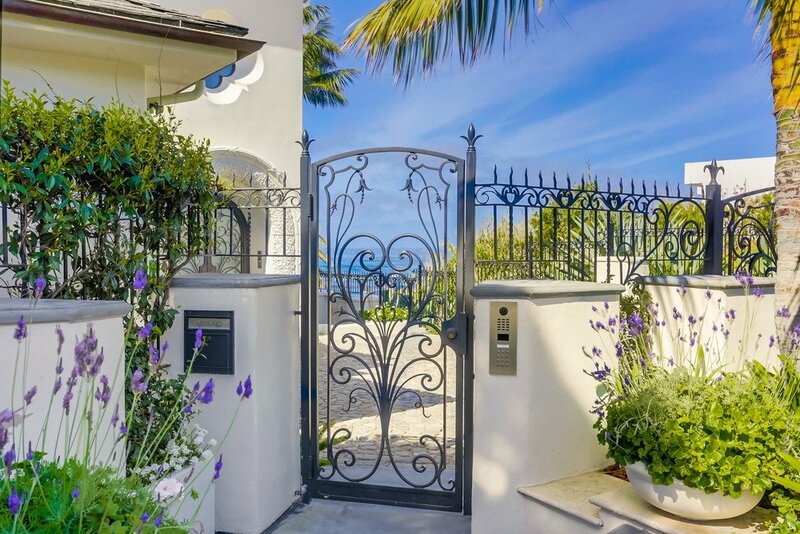 Control much of your smart home from your hand held phone device while traveling, or stay local and simply enjoy La Jolla’s year round mild temperatures.The stunning custom entry gates secure the driveway of this sophisticated, pristine residence. 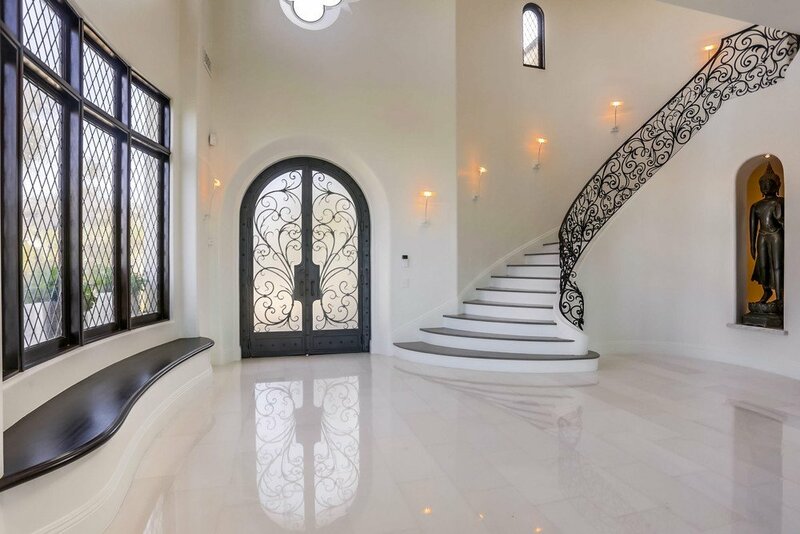 The exquisite and beautifully designed entrance door leads into the 22 ft voluminous domed foyer with marble floors that seamlessly blend together by elegant mahogany staircases. 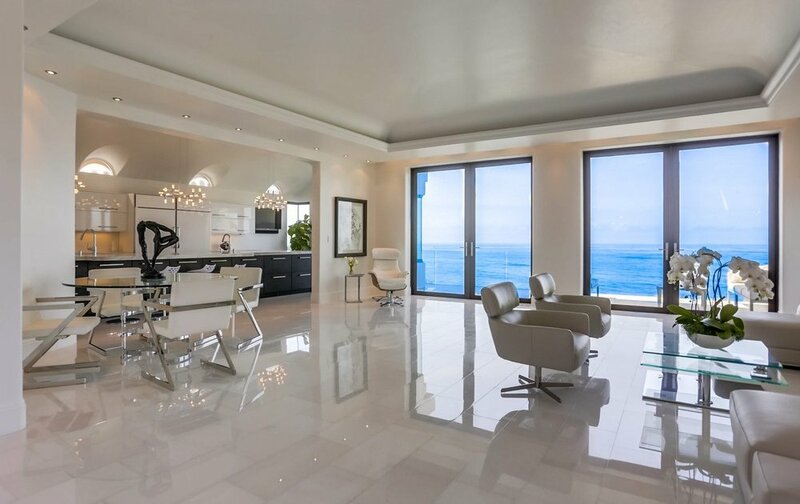 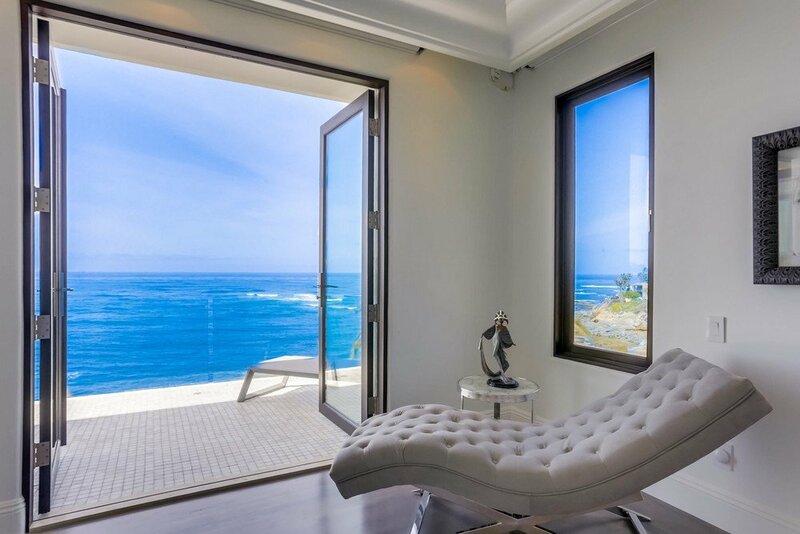 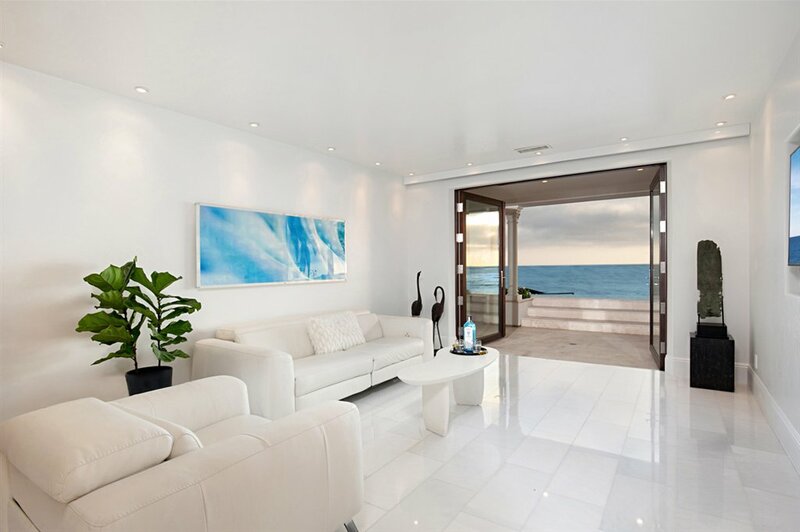 Tall custom ocean front doors from the captivating living room and master suite lead to exterior balconies where the ocean’s smells, sounds, waves and marine life are perfectly exhilarating and never ceases to mesmerize. 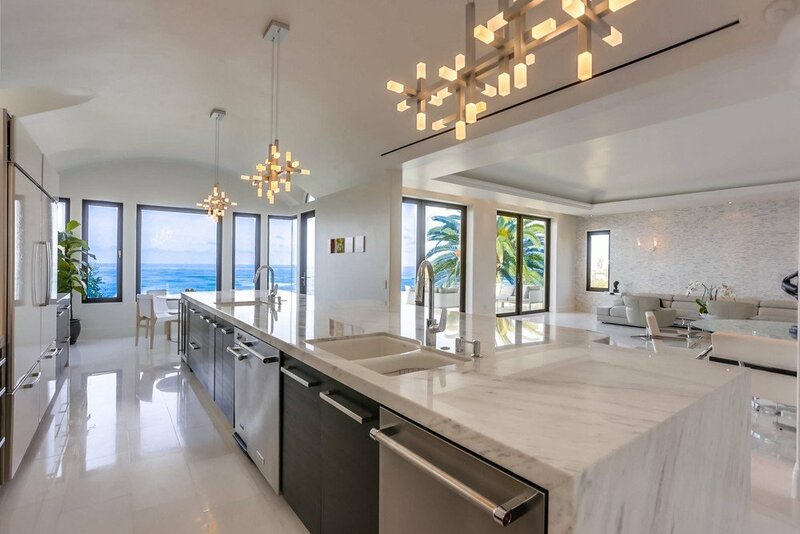 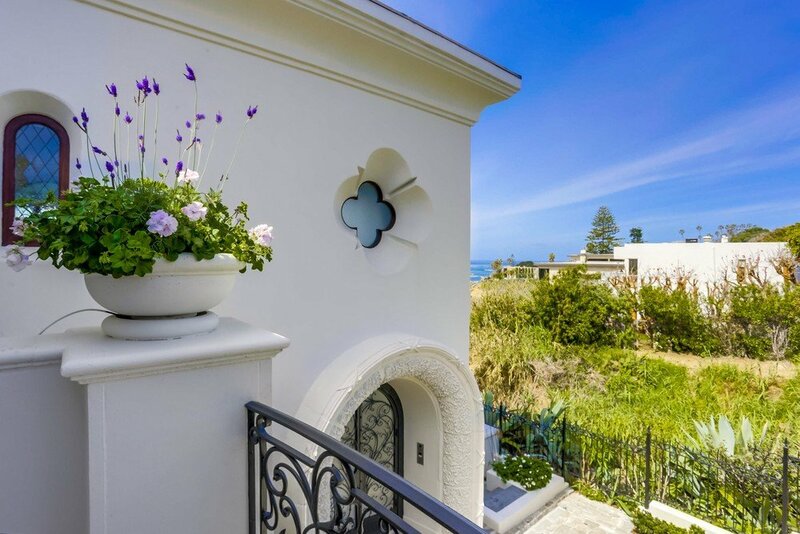 The chefs kitchen has striking domed ceilings with a huge marble waterfall island for large or small gatherings while admiring phenomenal sweeping coastal views, sunsets or incoming storms. 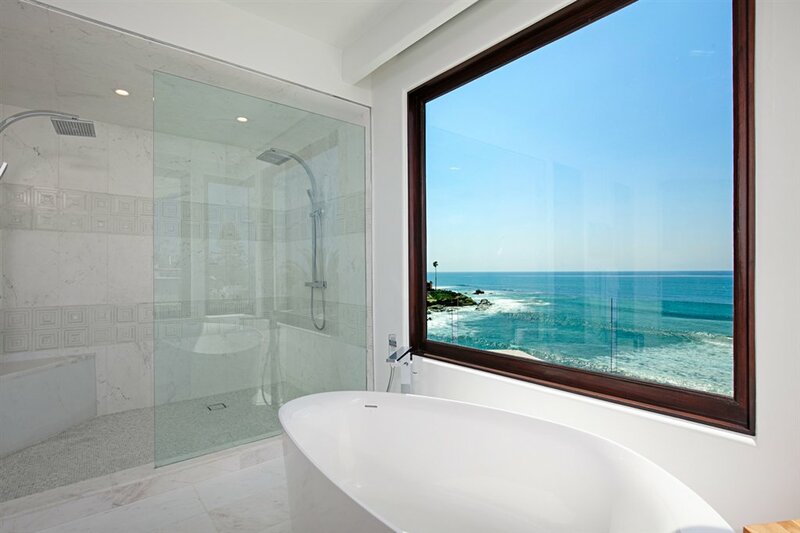 The powder room's vaulted ceilings, onyx vanity, and Lalique crystal faucet design pales in comparison to the dreamy master suite with fire place and stunning contemporary ocean view bathroom. 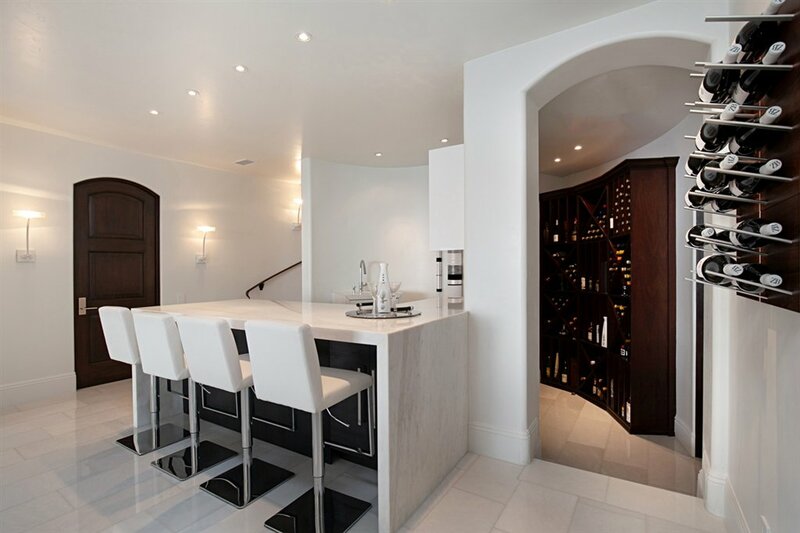 Use the elevator to any level or the staircase to the comfortable and spacious media room below where a white marble island with kitchenette and uniquely designed wine storage space adjoins for added entertaining. 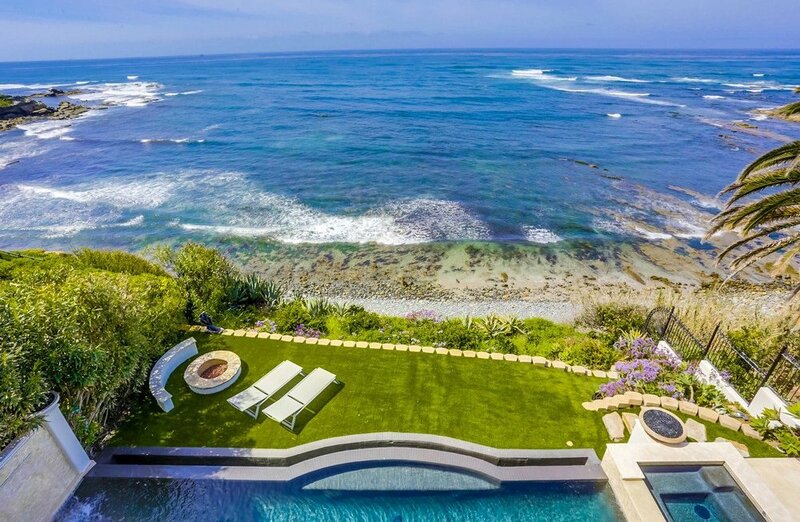 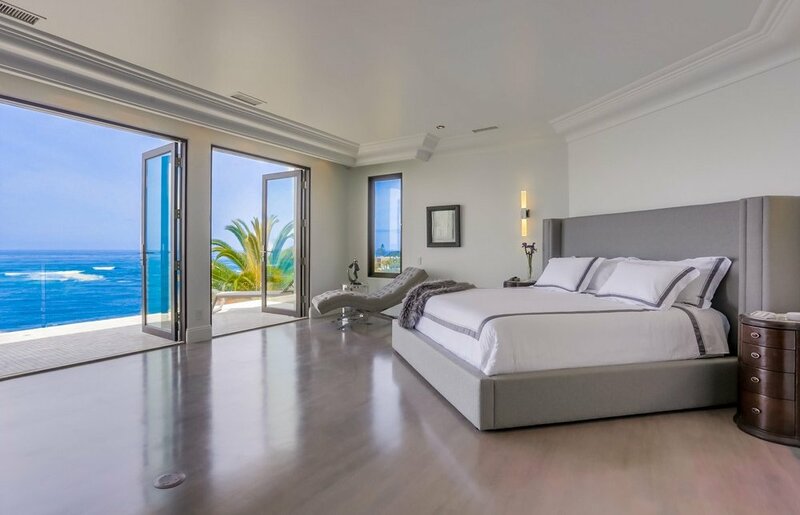 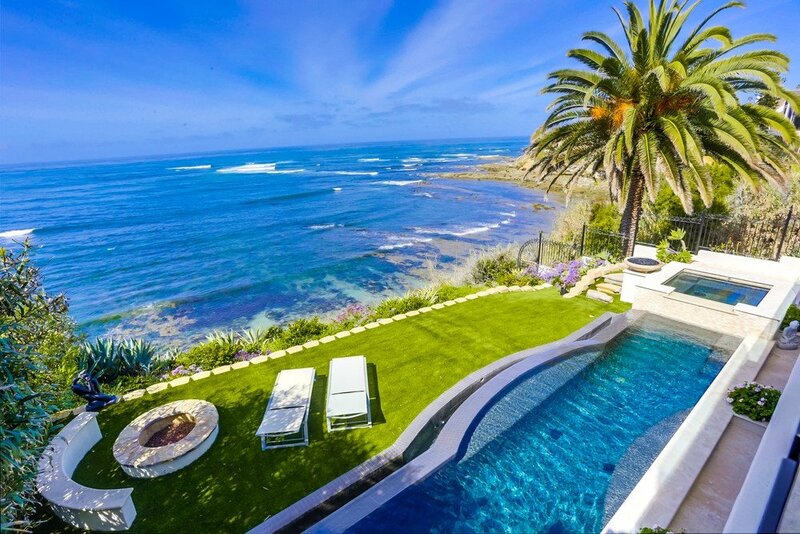 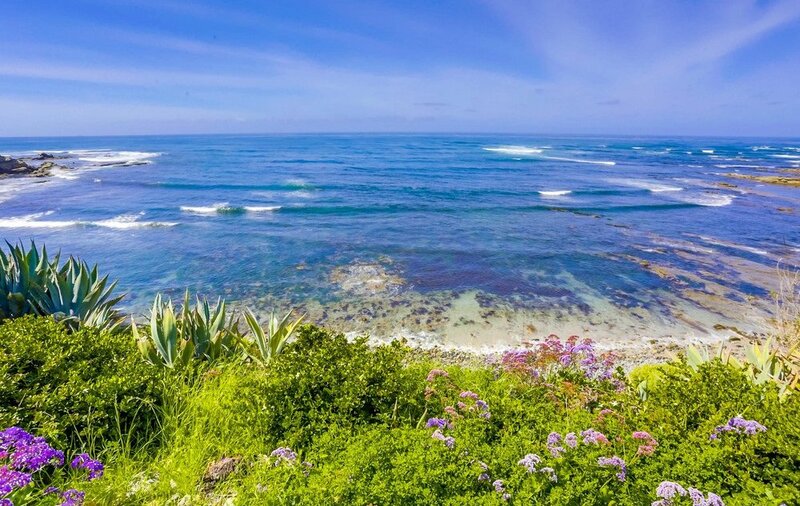 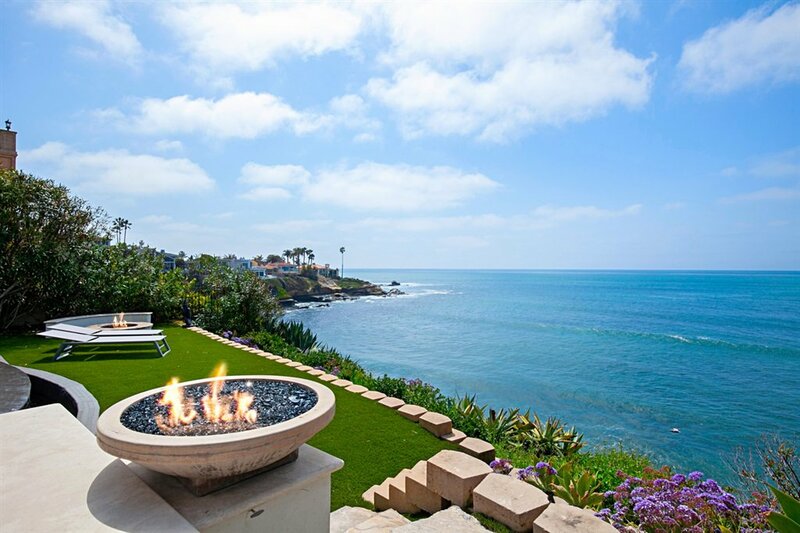 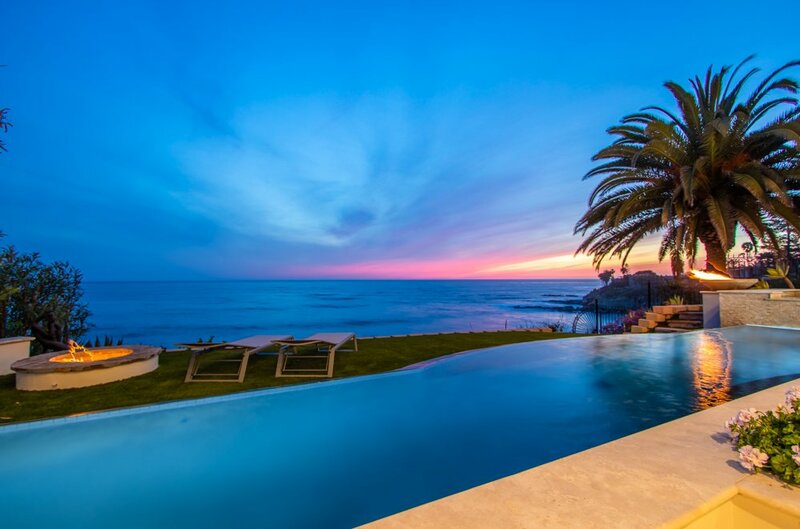 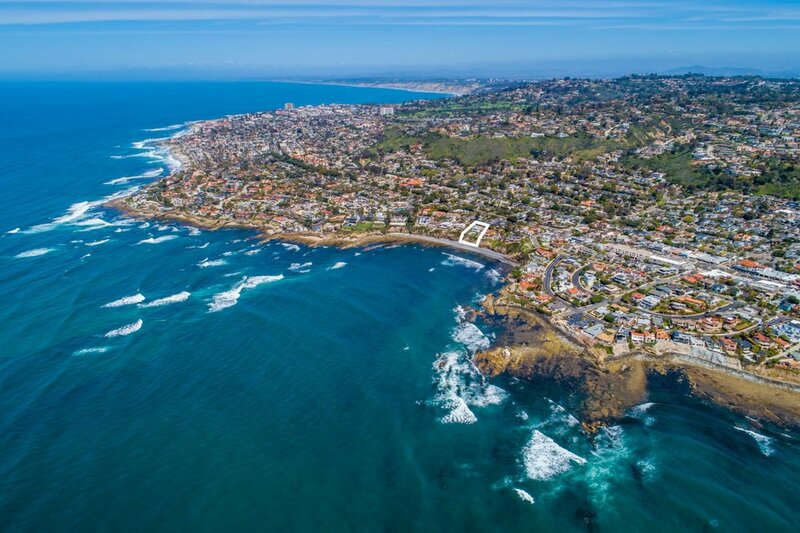 Adjacent to this area are 2 equally captivating oceanfront bedrooms which all open onto the outdoor patio and the spectacular oceanfront pool, spa plus fire pit that invite relaxation or gatherings while enjoying the magnificent panoramic views or sunsets. 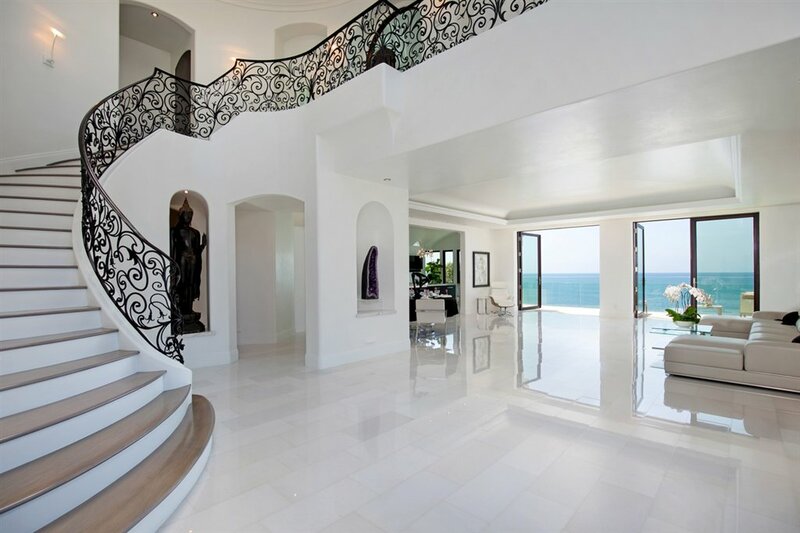 A rare opportunity.